Research shows that family and friends play an important role in supporting and encouraging residents to use digital technologies. A Senior Research Fellow at the Auckland University of Technology’s National Institute for Public Health and Mental Health Research is leading a study, which shows that aged care residents are dependent on family and friends to keep them digitally connected. As reported, despite the spread of the internet, age-related gaps in digital engagement still exist and a group that is particularly vulnerable to being excluded are those living in aged care environments. The report highlights that senior citizens are more digitally connected than ever. However, little is known about the online social connectivity of older people after they enter residential aged care. Residents are often omitted from surveys and reports, and their use of digital technologies remains largely invisible. 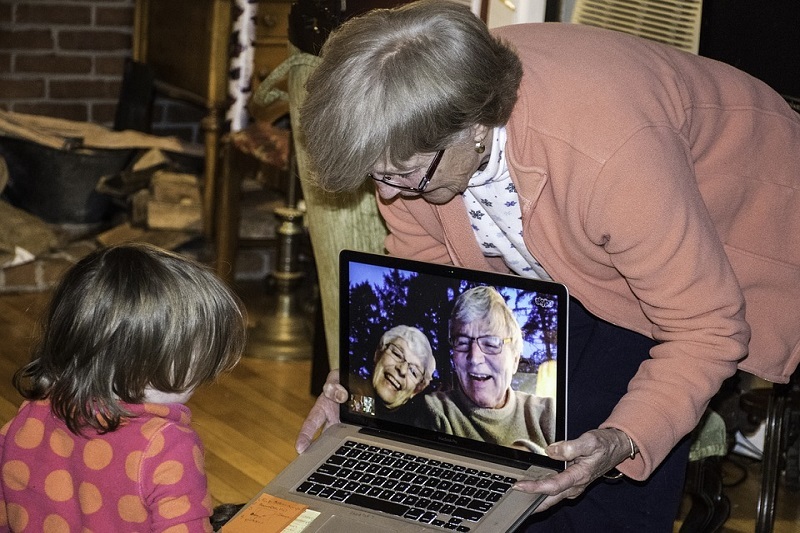 The study called, “The Socially Connectedness of Older People in Residential Aged Communities”, examines the residents’ use of digital technologies to stay in touch with people. Oftentimes, a family member purchases the device, arranges the Wi-Fi connection and sets up any software. Additionally, family and friends will bring over their own devices to share photos and videos even if the resident does not use technology themselves. Researchers interviewed the close family members and friends of older people living in an aged care facility or retirement village. To provide a more diverse sample, they included those with physical or mental disabilities, who may have found it difficult to communicate their own technology use. Altogether, the study participants provided data on 80 aged care residents in Auckland with an average age of 86 years. They were predominantly European, and three-quarters were women. Almost half of them owned a mobile phone or computer and their most common methods of communication on these devices were mobile calls, text messaging and email. Digital technologies served as a way of supplementing social contact instead of replacing it. The frequency of personal visits from family and friends was not affected by the use of technology. Interviewees have noted that aged care facilities seldom provided Wi-Fi access for the residents. Majority of them were not even aware of any computers being available in common areas. The research learned that family and friends consistently sought to fill the gaps themselves. However, they would like to see aged care operators play a more active role in providing access to digital technologies as well as technical support. Some of the newer facilities are starting to cater for the changing communication needs of their residents. Although things are moving in the right direction, there is still a long way to go before computer access is available to everyone. Study participants also struggled to find devices suitable for failing eyesight and arthritic hands. This is an opportunity for developers to meet the needs of the rapidly growing older demographic. Why social connections are important? Moving into a retirement village or rest home can radically affect a person’s ability to remain socially connected. The facility is often some distance from the neighbourhood where they once lived and older people cannot always travel to maintain relationships. This causes poor health outcomes and higher mortality risks, with a significant reduction in quality of life. Digital engagement in later life might not always be preferred or possible, but it can enhance the wellbeing of older people through more frequent social interactions and improved access to information.